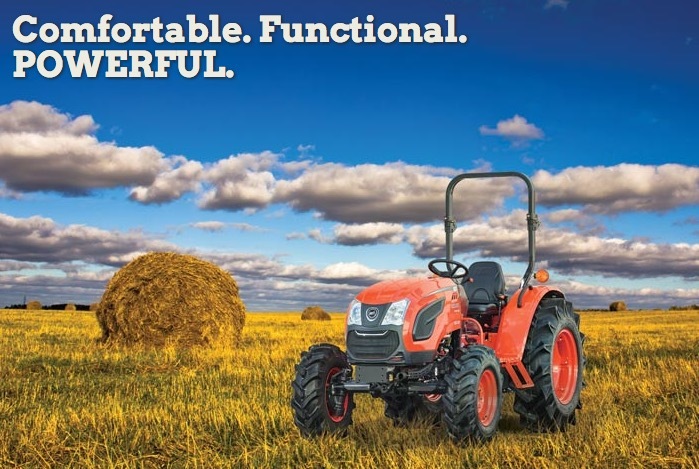 The new series of Kioti DK tractors has 3 x models DK4510, 5010 mechanical and now the new DK6010 with a choice of mechanical or 3 x range Hydrostatic twin pedal transmission. The 45 and 50 horse power models have a Tier 3 engine whilst the 60 horse power model uses the latest environmental Tier 4 common rail diesel injection engine. All models are available either with foldable ROPS or cabin. The cabin on the 45 and 50hp models is a field cabin with heater. The cabin on the DK6010 models is a factory fitted cabin supplied as standard with heater and air conditioning.